Buying your first home is an exciting time and certainly a milestone to be proud of. But as the costs pile up, this life changing experience could become a frighteningly expensive venture. For first time buyers who are shopping on a shoe string, there are many ways you can decorate your home without breaking the bank. Here are some frugal decorating tips which will make your budget stretch in your new home. A fresh lick of paint can work wonders for tired décor. 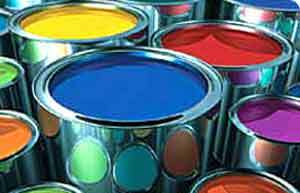 Over time, paint colours fade or they harbour smells and stains. So a fresh layer of carefully chosen wall paint can transform a jaded home. Choose a neutral colour scheme that can be used throughout the property, and you could save money on buying different paints for each room. Use this handy tool on the BBC Homes website to calculate average paint costs for your house. It’s something that many people don’t think of doing. But preloved furniture is one of the biggest savings you could make when decorating your house. These days, there are so many ways of obtaining unwanted furniture, most of which is in near-new condition. It would be crazy to miss out on such a money saving opportunity. Look in charity shops or browse exchange website such as Exchange & Mart to find second furniture. And when it’s time to upgrade, you can easily sell your unwanted furniture to someone else using the same method. Upcycling is one of the biggest interior design crazes at the moment and one of my favourtie first home money saving ideas. So, not only will you make a huge saving, but you’ll get top marks for trend and style. Unwanted furniture can be upcycled for a different purpose. For example, unused wooden crates can be hammered together to create a bookshelf or used beer bottles can be cut down to create funky tumblers. Unused apothecary jars can be used to create a designer light fitting or old curtain fabrics can be used to design new cushion covers. The ideas are endless. It’s easier said than done but if you want to stick to your decorating budget, you need to be patient. If you set yourself a target so that you can decorate one room at a time, you won’t be disappointed with unrealistic expectations. Treat each room as a project and allocated a percentage of your budget to each space.